The poll from Gonzales Research & Media Services, which included 809 registered voters in Maryland who said they regularly voted in general elections, found that 77 percent of those surveyed approved of Hogan's tenure as governor, while 18 percent disapproved. WASHINGTON — A majority of Marylanders approve of the job Republican Gov. Larry Hogan is doing in the state, but that support does not extend to Republican President Donald Trump, according to a poll released Tuesday. 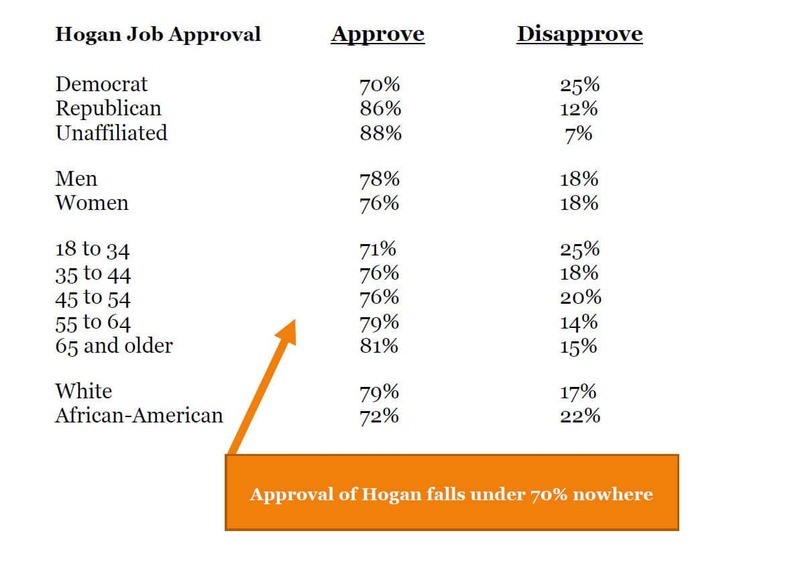 The poll from Gonzales Research & Media Services, which included 809 registered voters in Maryland who said they regularly voted in general elections, found that 77 percent of those surveyed approved of Hogan’s tenure as governor, while 18 percent disapproved. 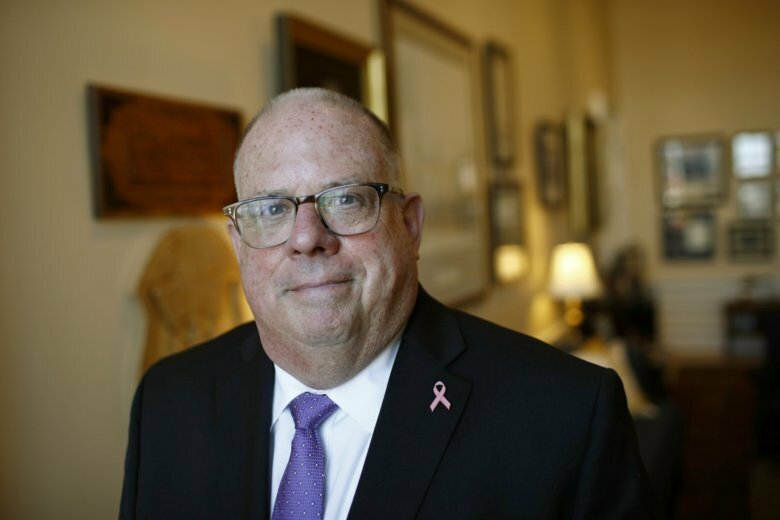 Even among the Democrats surveyed, 70 percent approved of Hogan as governor, with 86 percent of Republicans and 88 percent of unaffiliated voters giving him the thumbs up. But when eyes turned from Annapolis to D.C., only 34 percent of those surveyed approved of the job Trump is doing as president; 63 percent disapproved, while 58 percent strongly disapproved. Does that mean they’re clamoring to see House Democrats start the impeachment process against Trump? Well, not quite: Only 50 percent surveyed said they would approve of it, while 44 percent would disapprove. Voters were also polled on a number of state issues, including sports betting and recreational marijuana. When it comes to sports betting, 49 percent of those surveyed said they were in favor of making it legal in Maryland, while 36 percent opposed. Voters, however, do want a say in the matter, with 83 percent supporting the issue be put to referendum. The poll was conducted from Dec. 28, 2018 to Jan. 4, 2019, and has a margin of error of plus or minus 3.5 percentage points. Find the full poll results here.